between 2004 and 2009, probably melted down to feed a drug habit. 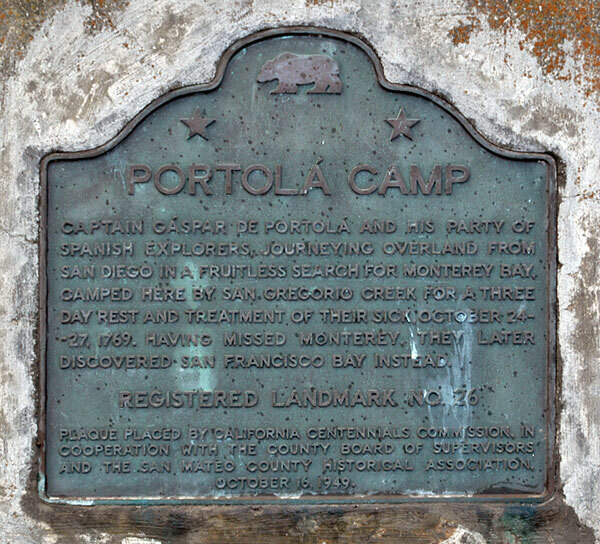 Captain Gáspar de Portolá and his party of Spanish explorers, journeying overland from San Diego in a fruitless search for Monterey Bay, camped here by San Gregorio Creek for a three day rest and treatment of their sick, October 24-26, 1769. Having missed Monterey, they later discovered San Francisco Bay instead. 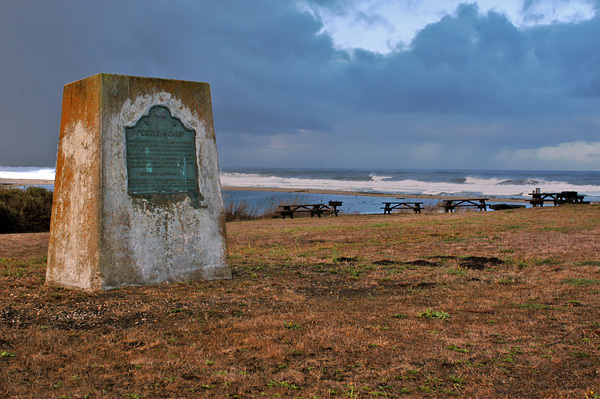 Plaque placed by California Centennials Commission in cooperation with the County Board of Supervisors and the San Mateo County Historical Association. 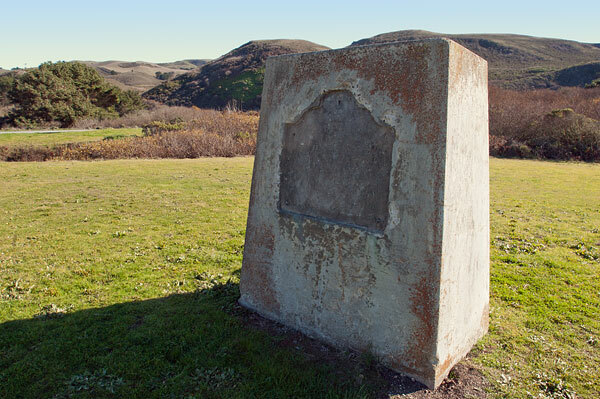 The next jornada was a long one of four leagues, and [the Portolá Expedition] camp was on San Gregorio Creek. It began to rain and the command was prostrated by an epidemic of diarrhoea which spared no one. They now thought they saw their end, but the contrary appeared to be the case. The diarrhoea seemed to relieve the scurvy, and the swollen limbs of the sufferers began to be less painful. They named the camp Vane de los Soldados de los Cursos, and Crespi applied the name of Santo Domingo to it. Unable to travel on the 25th and 26th, but resuming the march October 27th, they pressed forward.